We are dead in the middle of winter and in the Chicago area that means several more weeks of cold weather and snow. When the temperatures drop below freezing, the cold is bitter and uncomfortable which makes it important for your heating system to stay functional throughout the winter. If your heat breaks down in the middle of a deep freeze, it can create an uncomfortable and even dangerous living condition inside your home. 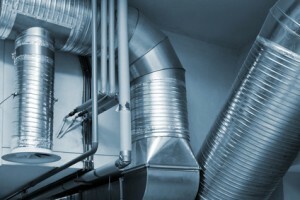 The best way to avoid having your heat breakdown during cold weather is to keep your air duct system maintained and recognize these common warning signs that your heating system needs to be serviced before it breaks down. Every furnace makes noise as it runs but if you hear a noise that the system does not normally make, it could mean that there is a problem. Every system is different and makes different noises as it operates so it is important for you to be able to recognize when your heating system is making an unusual noise. These noises may include squealing or rumbling and it is difficult to tell what a specific noise means. If you consistently hear an unusual noise coming from your heating system, it is best to have it checked out by a professional. If you notice that your heating system has stopped kicking on, that is a sure sign of a problem. If your furnace has a pilot light, you may be able to fix the problem simply by relighting the pilot light. If your furnace does not have a pilot light, you will need to call a professional to take a deeper look at the heating system. This sign can be difficult to notice but if the air coming from the heating system is not as warm as it should be, then there is a problem within the system. This commonly means that there is a fuel issue or the delivery system is disrupted. Either way it is best to have a professional service your heating system for internal issues. Your heating systems is one of the most important systems in the house during the winter season so if you notice any of these problems, it is important to act immediately so that your heat does not break down on you in freezing temperatures. Proper maintenance is the best way to prevent malfunctions with your heating system and having your air ducts regularly cleaned is the best form of maintenance for the system. Contact ServiceMaster DAK if you think your heating system could benefit from our air duct cleaning services and makes sure to contact a certified professional for potential repair issues.